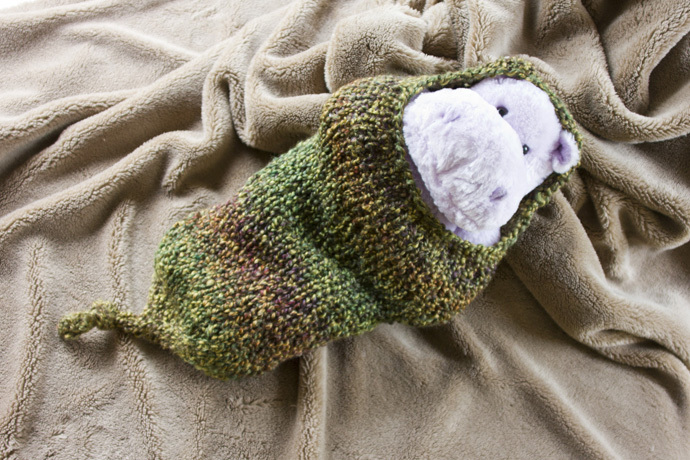 These little cocoons (or sleep sacks) are all over baby photography websites and Pinterest. 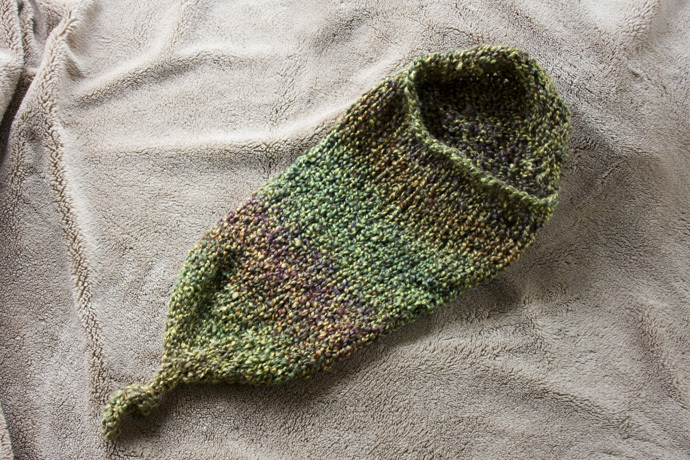 The first time I saw one, I thought, “I can make that, no problem.” Thankfully, I found a free pattern and have a few pregnant friends and co-workers I can make them for. Since I didn’t make any changes to the pattern, I’m going to respect its creator and have you go get it yourself if you want to make this. 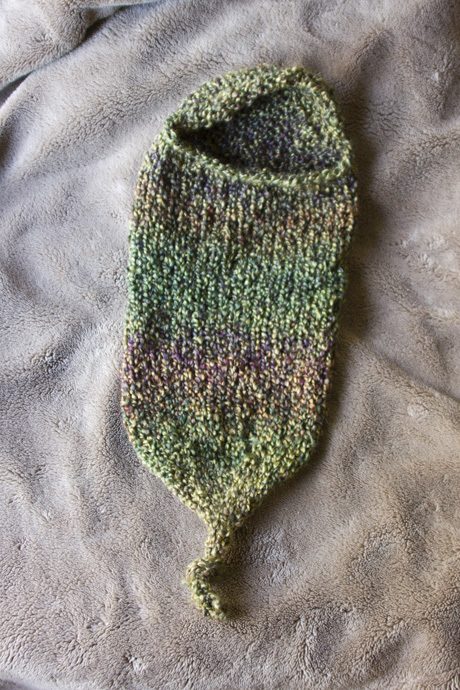 This knits up very quickly – I finished it in two short sittings – and only takes one skein of bulky weight yarn. For this sample, I used Lion Brand Homespun in “Mediterranean”. 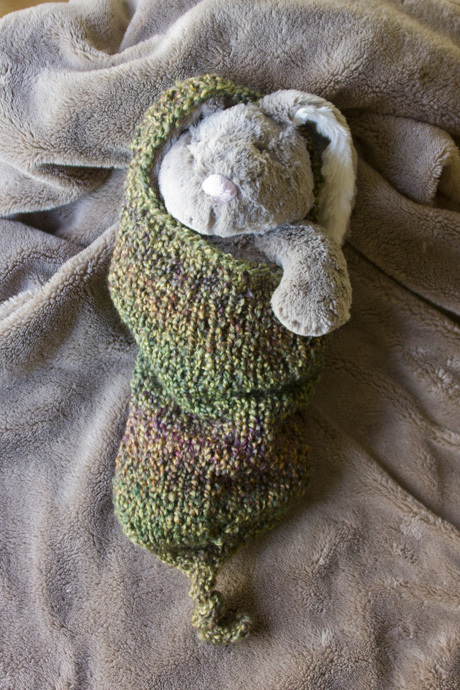 The hippo was jealous and wanted a turn modeling the cocoon. I am wondering if adult sizes are available!! On Friday nights I would love to crawl into one of these!! Look cozy and perfect for a warm retreat! !